In our ever burgeoning calendar, 16th October 2018 was a very special date. 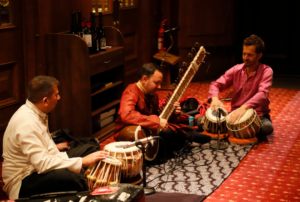 It marked the occasion of a grand evening at which the Fuellers installed a new Master, Shravan Joshi. Shravan is the youngest ever Master in the history of the Company and, for obvious reasons, he prefers classical Indian music to a more traditional post horn gallop. His passion and extensive work for the Company makes his appointment a much deserved and widely welcomed occasion. During the magnificent installation ceremony itself, previous Master, Chloe Andrews-Jones delivered an excellent and emotionally charged report about her year in office. It’s worth noting that the previous two women masters did pretty well for our Company in terms of fund raising and managing finances. So we’re all hoping that young Shravan is up for the challenge, along with our new wardens, Senior Warden Prof. Averil Macdonald and junior Warden Carrie Marsh. All organisations need new blood from time to time, and we are pleased to report that several new members were admitted as Freemen and Liverymen of the Company. The ceremonial dinner took place at the Fueller’s home — magnificent Skinner’s hall. 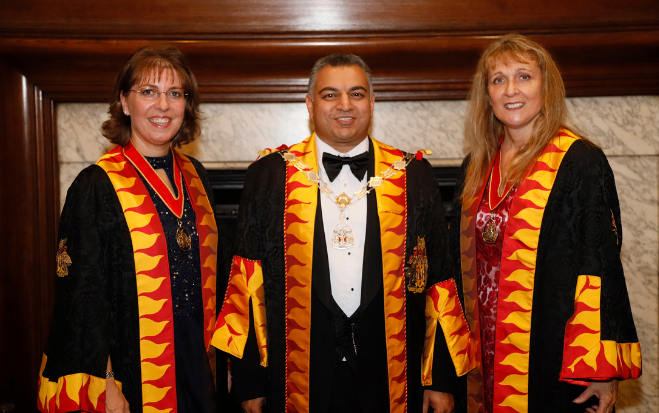 There were a number of guests and speakers, with key note speeches from the newly elected Master, Shravan Joshi, by our Senior Warden Prof. Averil Macdonald and by the principal guest for the evening, Lord Gadhia. 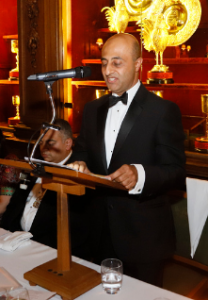 The principal guest, The Lord Gadhia, in his speech expressed confidence in the UK economy “because of our diversity, not in spite of it”. ‘We should hold our nerve (re Brexit and any situation),’ he said, ‘stick to our values, focus on trust, transparency and integrity. Our values shouldn’t be diluted.’ He also stressed the importance of speaking up — a very important point, as the saying goes, your voice reaches places your feet cannot go. What could be more important than the value of joining the Fuellers. 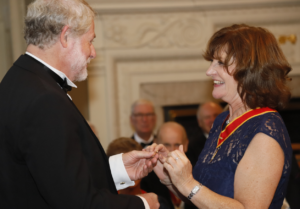 In his speech the Master sought to emphasise looking beyond the convivial but relatively less important aspects of such get togethers — fine dining in elegant surroundings — to remind members of the company’s key values: civic duty, industry reach, and connections forged across the energy sector. Shravan Joshi’s speech looked confidently to the future. 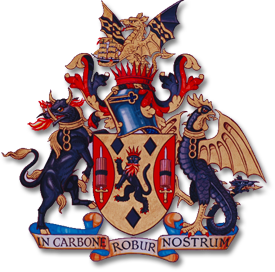 ‘What I hope we can achieve during the year is to encourage existing members to look at how they can foster the next generation of Fuellers.’ And he was keen to point out that existing members should take care to ensure that, in passing the baton to a new generation of members, the company’s core values, traditions and historical links with The City are preserved. He set out how he intended to achieve his goals through the mentoring and guiding of new members, helping them through the labyrinth of events and industry visits the company organises each year. He intends to actively encourage participation and engagement in the committees and working groups of the Company. Fuellers, he pointed out, had a great opportunity to add value by speaking positively and constructively about the energy sector in a way that also brought value to the membership. After all, our collective understanding of subjects as diverse as fracking and EV car technologies represents an enormous intellectual resource which members can draw upon. Our Fuellers Conversations, hosted by EY, several of which have already been planned for the year, constitute the main thrust of our industrial engagement. He went on to touch on the wider world in which Fuellers are continuously engaged, re-emphasising our deep seated connections to the military and to the good works of our charitable trust. There were a number of representatives in the audience from supported charities and from Platanos College, a supported school. The dinner itself was truly special and a bit of a record breaker. 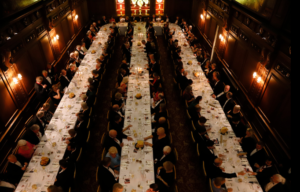 It was the first occasion in the history of livery companies at which Indian curry was served. Side dishes of kebabs and samosas were consumed to the crisply satisfying sound of snapping popadoms, making this a truly unique dining experience which added spice to an already delightfully piquant occasion.